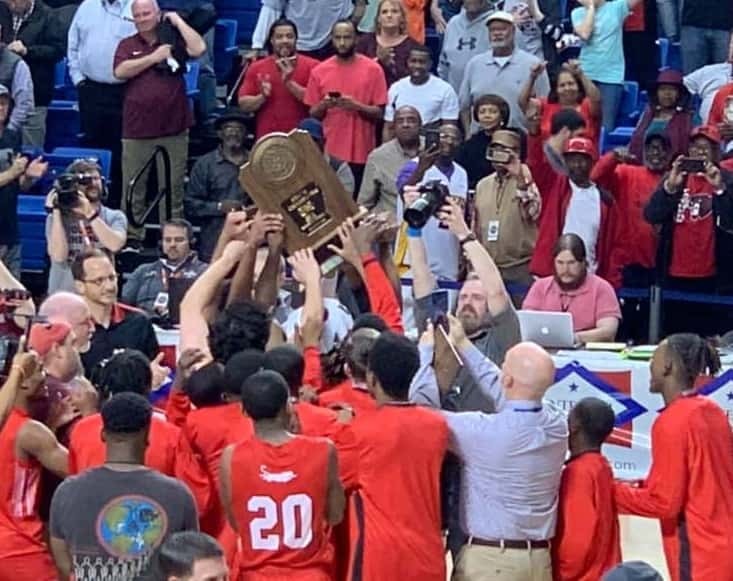 The Magnolia Panthers are the 4A Boys State Basketball Champions. 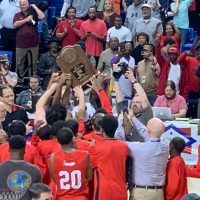 The Panthers defeated Little Rock Mills 78-76 in overtime in the championship game Saturday evening in Bank OZK Arena in Hot Springs. Magnolia led the majority of the game, but it was a back and forth affair. The score was tied 7 times and the lead changed 4 times. Magnolia’s largest lead was 9 points and Mills was up by as much as 8. The Panthers outrebounded the Comets 39 to 30. Stat leaders for Magnolia include: Darrien Ford with 28 points, 4 assists, 6 rebounds and 2 blocked shots. Coby Garland scored 21. Markeveon Strickland had 15 points. Kadyn Roach and Braelyn Beasley had 7 points apiece; Beasley pulled down 15 rebounds. Kyle Carver didn’t score, but he had 2 blocked shots. The State Champions finish the season with a 24 and 5 record. Mills ended at 28 and 5. Congratulations to Coach Dyun Long and the Magnolia Panthers!